Amazon said it would not conduct a new headquarters search and would focus on growing at other existing and planned offices. The company said on Thursday it did not see consistently "positive, collaborative" relationships with state and local officials. Opponents of the project feared congestion and higher rents in the Long Island City neighbourhood of Queens, and objected to handing billions in incentives to a company run by Jeff Bezos, the world's richest man. "This was a shakedown, pure and simple," he said. Amazon's sudden pullout from New York City prompted finger pointing by Mayor Bill de Blasio and New York state Governor Andrew Cuomo, the politicians who crafted the deal. Cuomo angrily blamed the loss on local politicians while de Blasio blamed Amazon. Cuomo said in a statement that a small group of politicians had "put their own narrow political interests" above those of New Yorkers. Some New Yorkers mounted protests after the deal was announced, angered by the $2.8 billion in incentives promised to Amazon and fearing further gentrification in a neighbourhood once favoured by artists looking for cheap studio space. U.S. Congresswoman Alexandria Ocasio-Cortez, a critic of the project and a self-described democratic socialist whose district spans parts of Queens and the Bronx, cheered the reversal by the world's third most valuable public company. "Anything is possible: today was the day a group of dedicated, everyday New Yorkers & their neighbours defeated Amazon's corporate greed, its worker exploitation, and the power of the richest man in the world," she wrote on Twitter. "We gave Amazon the opportunity to be a good neighbour and do business in the greatest city in the world," he said. "Instead of working with the community, Amazon threw away that opportunity." Some long-time residents in Long Island City, which sits across the East River from midtown Manhattan's skyscrapers, feared being forced out by rising rents and untenable pressure on already overburdened subway and sewage systems. High-rise towers have sprouted across the neighbourhood in recent years. "This is a stunning development, with Amazon essentially giving in to vocal critics," said Mark Hamrick, a senior economic analyst at Bankrate.com. The about-turn could spook other companies thinking about expanding in New York, he added. Alphabet Inc's Google has avoided competitions between cities for offices, and its growing presence in lower Manhattan has met with little serious blowback. "I think the (Amazon) PR event turned out to be a mistake," said Jason Benowitz, senior portfolio manager at the Roosevelt Investment Group, who owns Amazon shares. Hours before the announcement, Amazon officials in New York betrayed no knowledge of the deal's cancellation when they met with local community members on Thursday morning, said Kenny Greenberg, a neon artist and member of Long Island City's community board. "Either they are really good poker players or they were not aware," Greenberg said of the Amazon representatives. "There was no hint of this at all." 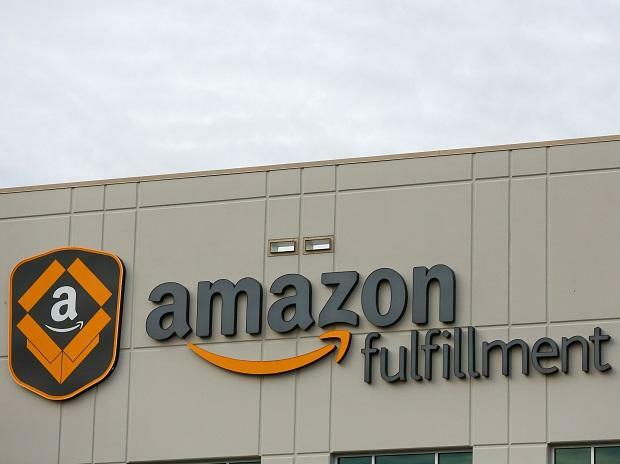 The meeting with Amazon officials had been held to answer concerns from the community about labour conditions for Amazon's warehouse and delivery workers and the company's opposition to labour unions. "This is not the Valentine that NY needed," she wrote, adding that she had been ready to push for changes to the deal to address local concerns.